Learning to access core components of the UMKC IT environment is a critical success factor in connecting and communicating with your students and the world at large. UMKC's email system serves as your conduit for all official UMKC communications. The UMKC Exchange Home site will provide information to assist you in accessing and utilizing this service. 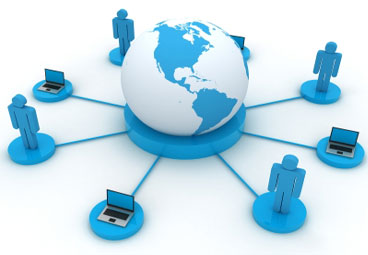 The site includes usage tips, FAQs, troubleshooting advice and detailed instruction sets for connecting from a wide range of supported platforms. Faculty have access to a high-speed, redundant and robust storage area network for three distinct types of storage needs. Read more about these offerings at the Networked Storage site. Box provides an easy-to-use, secure method to share data with colleagues inside and outside the university. Data stored on Box is accessible anywhere, anytime and from virtually any device by simply logging in with your UMKC credentials. Read more about these offerings at the Box at UMKC site. Learn how to efficiently exchange large files and data sets with colleagues using the UMKC Digital Dropbox. Search for colleagues using the UMKC Faculty/Staff/Student Lookup.